Our own Ray Hamlin, CBAP, will present an overview of the IIBA's latest version of the BA Body of Knowledge! Speaker Bio: Ray Hamlin, Jr. CBAP, a life-long resident of NE Ohio, is a Business Systems Analyst Lead at Progressive Insurance Corporation in Mayfield Village, OH, where he has been employed since 2013. Ray leads the BA effort on large Enterprise projects at Progressive, and has served on the Steering Committee for Progressive’s BA Community of Practice. Ray has worked in Business Analysis for over 10 years, as both an employee and a contractor. Ray has also worked extensively in Business Intelligence and data analysis, and has been an IT trainer. Ray holds an MBA from John Carroll University and is a Six Sigma Green Belt. Ray is also very active in the Not For Profit sector, and has served as an officer on several local boards. Cost: Free for IIBA members, for employees of our Host (LeanDog), and our Sponsor (Progressive). $5 for Guests. Based on RSVPs, IIBA Members will be given first priority and the number of attendees may be limited to a pre-defined attendance capacity. RSVP: E-mail the Cleveland Chapter and provide your Name, IIBA Membership number and email address. The deadline for RSVP's is Friday, July 28, 2017. If we are at capacity, you will be notified as soon as possible. Outside capacity issues, an official confirmation/invitation will be emailed to you after the RSVP deadline. For questions, please email Secretary@cleveland.iiba.org. Please be considerate of others and do not RSVP if you cannot attend the meeting. If you find you're not able to attend after having sent your RSVP, please e-mail and we will make your seat available for someone else. 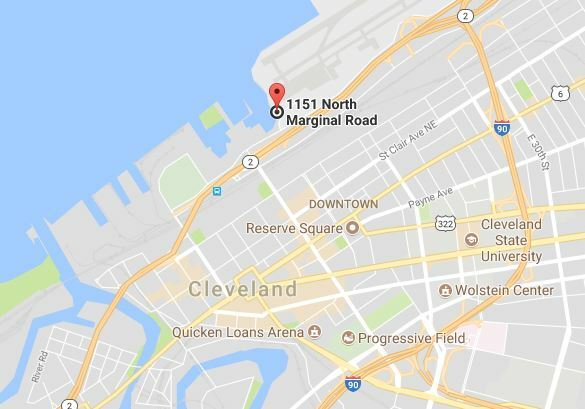 Directions: LeanDog Software is located at 1151 N Marginal Road, Cleveland - on a barge floating in Lake Erie, right beside the USS Cod Submarine. Use this link for directions.